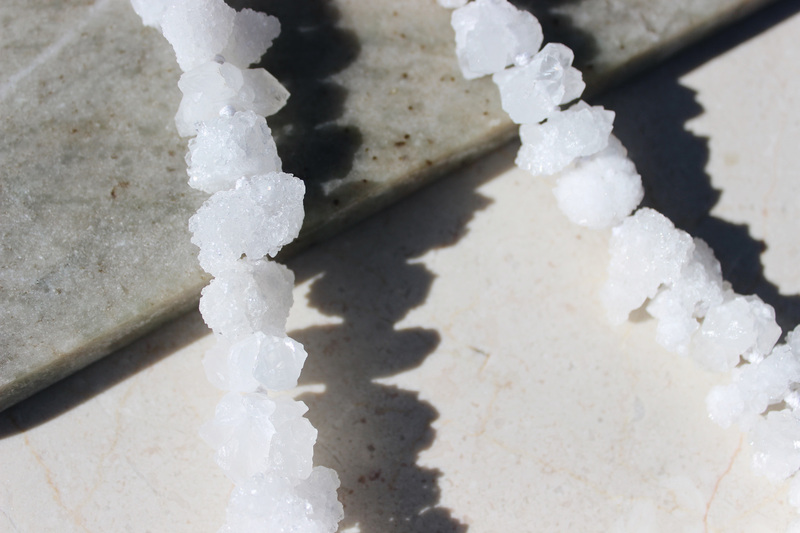 White Quartz that will dazzle your Aura! 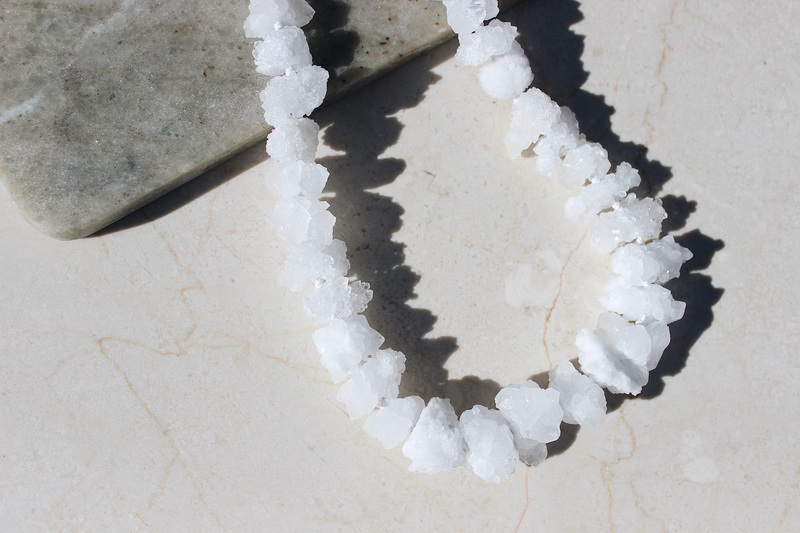 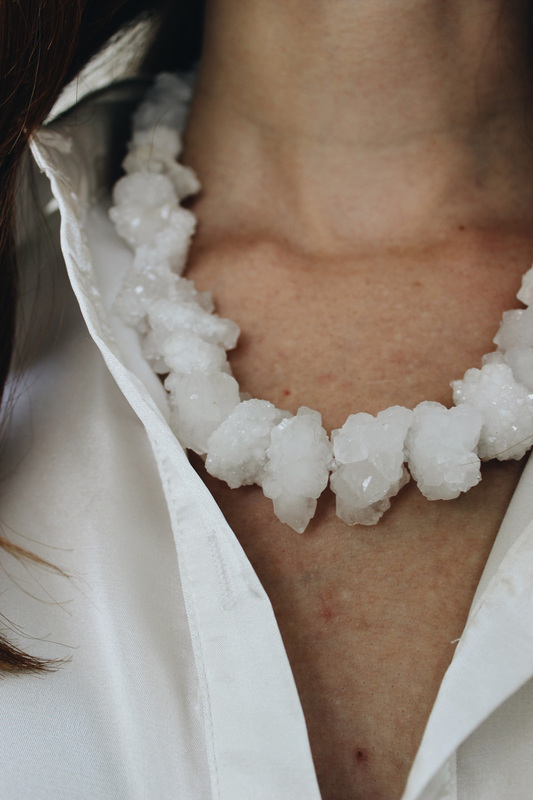 Our beautiful white quartz necklace that would have been made millions of years ago. 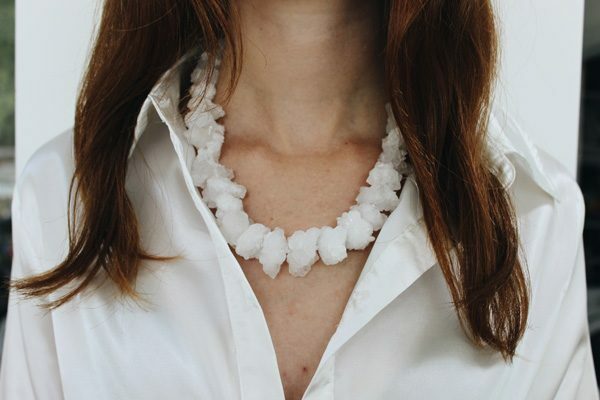 A dazzling group of snow white natural quartz that will illuminate you! This kind of quartz is known as the Master metaphysical stone of life and is said to act like a 'tuning fork to return your body's frequencies to a healthier, natural state.